MAKE A DIFFERENCE IN TEENS’ LIVES TODAY! Your donation will help us launch Teen LifeAbility this summer! Join us by contributing toward our $7,500 goal this month--we’re almost 40% there! 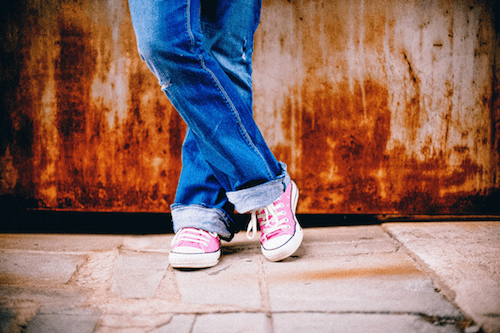 Navigating the high school years can be complicated and confusing for all youth. For high schoolers with autism, cerebral palsy, Down syndrome and other intellectual and developmental disabilities (I/DD), there are usually additional layers of complexity. Establishing a program like our LifeAbility Talks for teens will have similar benefits, at a pivotal time. Teen LifeAbility will be designed to help kids with I/DD see all that they can achieve in a fun, peer-driven and comfortable setting. By participating, they’ll come to understand and appreciate their own potential, at a time when building confidence is critical. The program will empower youth with I/DD to become self-advocates at a relatively early age and set them up to be leaders in their schools, their local communities and beyond. Provide a chance to be viewed as a leader among their peers. Build relationships with other high schoolers. Although the programming will be focused on youth, we will also build in opportunities for the parents of our participants to connect with each other. 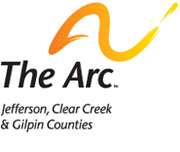 The Arc—Jefferson, Clear Creek & Gilpin counties began LifeAbility Talks programming for adults in 2016. Though the program is facilitated by staff members, it is driven, developed and delivered by people with intellectual and developmental disabilities. Each talk is led by experienced self-advocates who cover topics that promote more independent, satisfying lives. Typically, 3-4 sessions are offered annually. Since the program’s inception two years ago, roughly 260+ individuals have been engaged in LifeAbility Talks, and repeat attendance is high. Past topics have included communication, safety, health and wellness, and travel. We intend to pilot Teen LifeAbility by developing and delivering two sessions this summer. We’ll promote the program within our own membership, and beyond, via our network of community partners. We expect to continue Teen LifeAbility beyond the summer 2019 pilot, pending funding, possibly adding more sessions during the school year. And we are currently developing a survey to ensure our plan addresses the logistical needs and topic preferences of our potential participants. Your donation in March will help us develop the pilot Teen LifeAbility program, deliver the first two pilot sessions this summer and build a plan for ongoing programming.